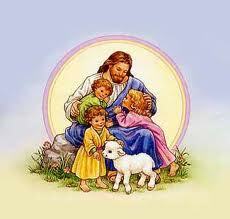 Jesus Loves Me is the best loved children’s song of all time. The words were written by Anna Bartlett Warner, who was born in 1827. Warner could trace her lineage back to the Puritan Pilgrims on both sides. Her father was Henry Warner, a well known New York City lawyer originally from New England, and her mother was Anna Bartlett, from a wealthy, fashionable family in New York’s Hudson Square. When Warner was a young child, her mother died, and her father’s sister Fanny came to live with the Warners. Although Henry Warner had been a successful lawyer, he lost most of his fortune in the Panic of 1837 and in subsequent lawsuits and poor investments. The family had to leave their mansion at St. Mark’s Place in New York and move to an old, ramshackled Revolutionary War-era farmhouse on Constitution Island, near West Point, NY. In 1849, seeing little change in their family’s financial situation, Susan and Anna started writing to earn money. Both sisters became devout Christians in the late 1830s. After their conversion, they became confirmed members of the Mercer Street Presbyterian church, although in later life, Anna became drawn into Methodist circles. Anna’s sister, Susan, wrote under the pen name Elizabeth Wetherell. She wrote over thirty novels, but her first, “The Wide, Wide World” written in 1850 was the most popular. It was translated into several other languages, including French, German, and Dutch. After “Uncle Tom’s Cabin”, it was perhaps the most widely circulated story of the day. Anna wrote under the pseudonym Amy Lothrop. She wrote thirty-one novels including “Robinson Crusoe’s Farmyard”, “Dollars and Cents”, “In West Point Colors” and a biography of her sister. The sisters published 106 novels and children’s books, eighteen of which they wrote together. Together the duo wrote “Wych Hazel”, “Mr. 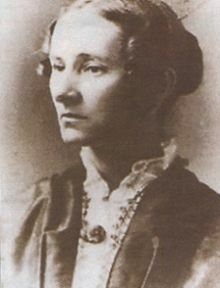 Rutherford’s Children”, and “The Hills of the Shatemuc.” Anna published two collections of verse in “Hymns of the Church Militant” in 1858 and “Wayfaring Hymns” in 1869. Neither sister married, but held regular Bible Studies for West Point cadets. Their uncle, Rev. Thomas Warner, was the Academy Chaplain. Anna wrote a fresh hymn for her Sunday School class each month. It is believed that Dwight D. Eisenhower was one of the last cadets to attend their classes. He graduated the year of Anna’s death. 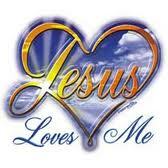 The words to “Jesus Loves Me” first appeared in Susan’s 1860 bestselling novel “Say and Seal”. In the novel, Sunday School teacher Mr. Linden comforts his student, Johnny Fax. The words are spoken to soothe the dying child. “Jesus Loves Me” was published as a hymn in the hymnbook “Original Hymns”. The tune and chorus were added in 1862 by Dr. William Batchelder Bradbury. Dr. Bradbury dedicated himself to teaching, writing and publishing his music; published 59 collections of sacred and secular music. He wrote hymns such as “He Leadeth Me”, “Just As I Am” and “Sweet Hour of Prayer”. “Jesus Loves Me” appeared in his hymnal “The Golden Sower”. Anna outlived her sister by more than thirty years. The popularity of the song was so great, that both sisters were buried with military honors because of their contribution they made to the spiritual well being of the soldiers. They are the only civilians buried in the West Point Cemetery. Their home, Good Crag, was willed to West Point Academy and made into a National Shrine. Their home is now a museum in their honor. “Jesus Loves Me” is the first hymn taught to new converts and children worldwide. Additional verses have been added throughout the years.